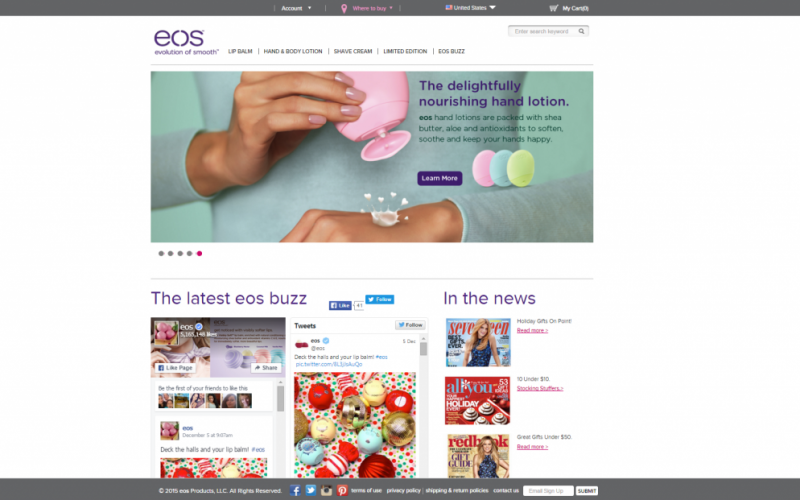 Evolution of Smooth (commonly known as EOS), a skin care company, came to Union Square Design to redesign their website. When Evolution of Smooth came to us, they had a clear vision of what they wanted and needed their website to have. So we redesigned the website, fulfilling all of Evolution of Smooth’s individual needs. The website face-lift we did for Evolution of Smooth included integrating interactive applications, and boosting social media. For the first part of the face-lift, integrating interactive applications, we created a Store Finder application. With this app, potential customers could now find a store closest to them. 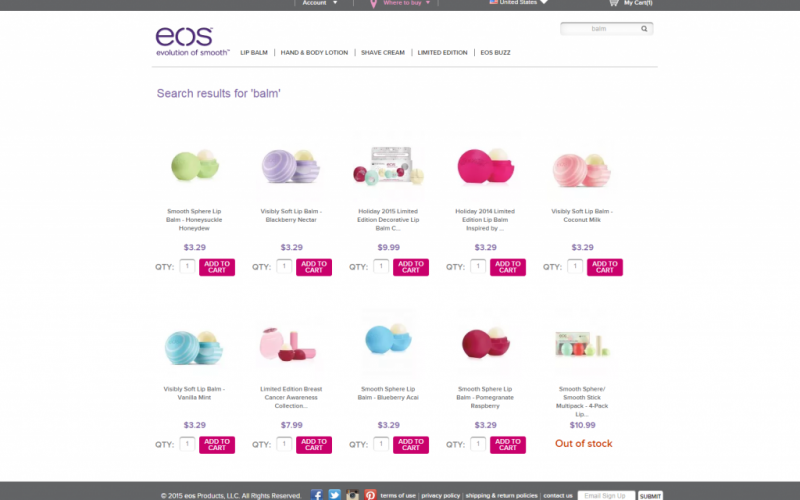 Also, the finder showed the customer the EOS products available for purchase in that specific store. Union Square Design also brought Evolution of Smooth’s social media to the website itself. 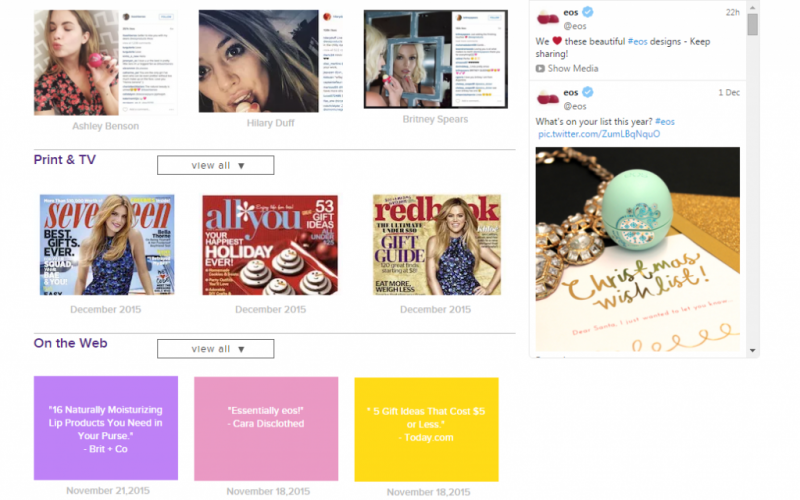 This social media integration gives all of website’s visitors updated tweets, and buzz on the company’s products. Evolution of Smooth, to its fans, is an online skincare company; the biggest sellers are lip balm and lotions. Within the last few years their company has exploded in popularity with their products. EOS products are 100% natural, 95% organic, and come in a variety of flavors and scents. The company’s best selling product is its lip balm, which is made of Shea Butter and Jojoba Oil to keep lips hydrated. The lip balm is also infused with vitamin E to give lips a healthy shine, while nourishing them. Also EOS lip balm is gluten free. The balms come in variety of flavors such as Tea Tree Mint, Bing Cherry, and much more. EOS also sells body lotions that are scented, and perfect for those who have sensitive skin.